I get so tired of society telling women that they have to be skinny, slender, thin, – or look kinda like Barbie – to be beautiful. Its a cruel world we live in. Women are so hard on ourselves, wanting to loose a few pounds before getting any portraits made. YOU are BEAUTY-FUL no matter what shape or size you are! Your children and family don’t care about those 10 pounds, they LOVE YOU for WHO YOU ARE on the inside and out! They WANT memories of you as you are! Its easy to get photos made of just our kids, but women dread being in front of a camera… including myself in the past! Its time to change that and just feel better about ourselves! Its time ladies, that you feel better about yourselves! What if (God forbid) something bad or unexpectant happens to you, and in the years past, you were hardly ever in front of a camera? Your kids might only have a quick snapshot or cell phone pic of you for their lasting heirloom portrait. What if? Think about it! Forget about those last 10 pounds… who cares? Your kids don’t care! With that in mind… I am starting a new chapter in my photo history, of concentrating on women – just women – of all shapes and sizes!!! You are BEAUTY-FUL! Let’s prove it! Society needs to learn to appreciate the fact that we are all designed different – thank GOD we arn’t all cookie cutter style!!! 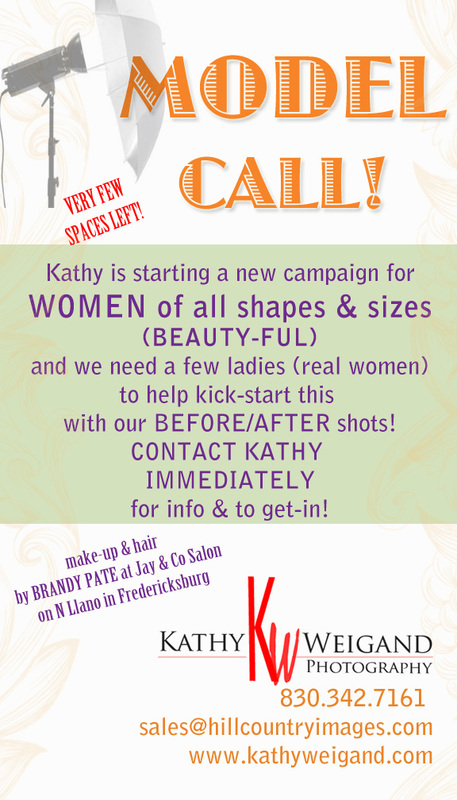 So, to help kickstart my new BEAUTY-FUL campaign, I’m looking for a couple ladies – moms or real women – of any shape or size – for a day of portrait FUN!!! Contact me soon, as there are only a couple spots left! I would love to do this. I’ve always been really hard on myself never felt pretty. Think I’m fat. I know God made us the same and I’m trying really hard to know that I am beautiful. But I do take Terrble photos. Id love to try and do something to feel pretty and boost my confidence.